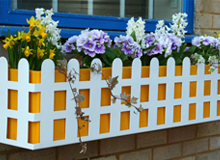 A mix of contemporary design and modern colouring, our window boxes will make a stylish addition to your property. 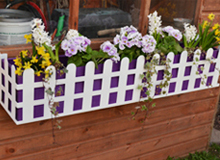 Ideal for growing small veg and herbs or just adding a splash of colour with seasonal plants. 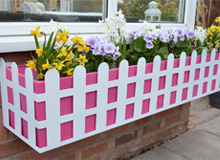 The plastic planter is removable for easy planting and is also available in an array of colours to suit your surroundings. 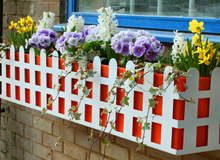 Laser cut and hand finished, these window boxes are manufactured to same high standard as our other garden planters right here in our factory outside Cambridge.